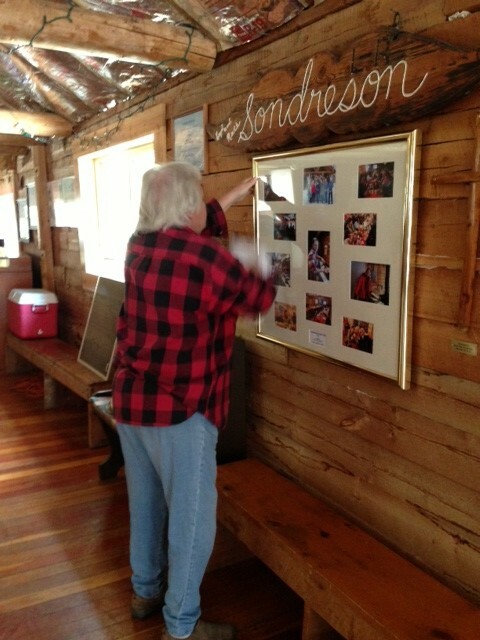 The Sondreson Community Hall was buzzing with activity on Saturday morning for the annual Hall Cleanup Day. 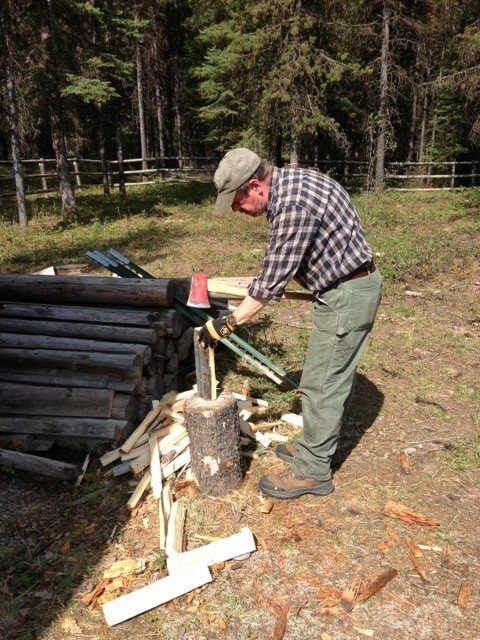 Members of the North Fork Landowners Association had a fun time together and accomplished a lot in a short period of time. 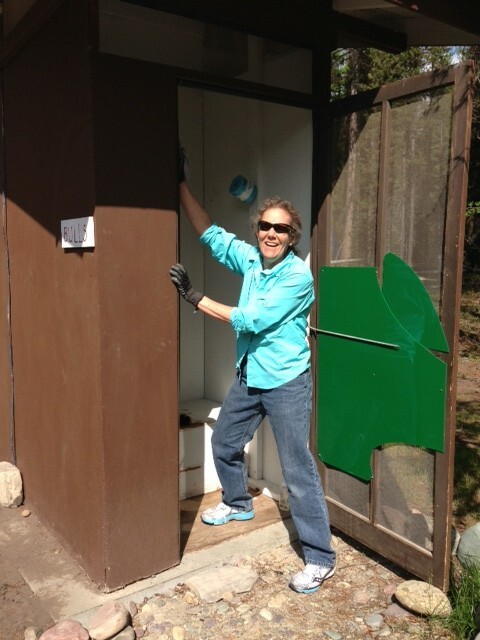 Vice President Donna Harrison was in charge of the event and started things off with a list of things that needed to be completed. 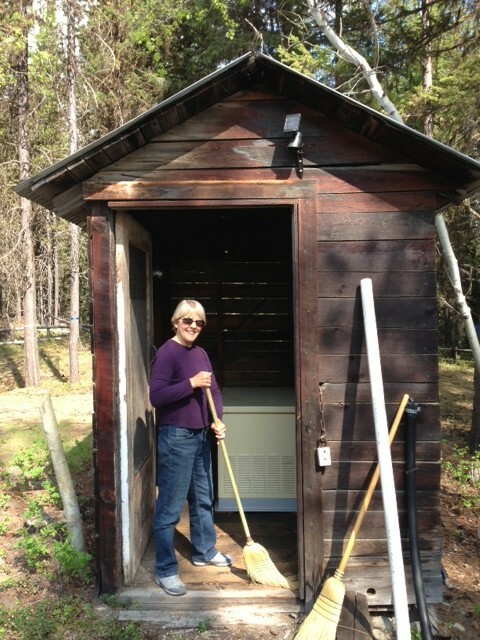 Margaret Heaphy and Suzanne Daniel cleaned the outhouses while Bill Walker split kindling. 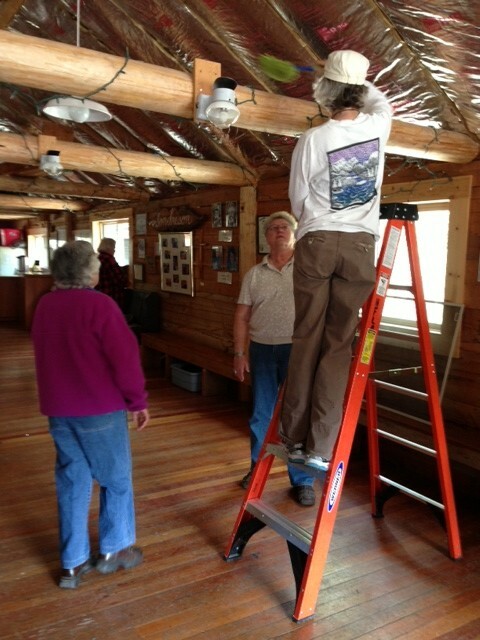 Richard Hildner and Randy Kenyon hauled kindling into the Hall while Jackie Graham dusted the rafters with Karen McDonough holding the ladder. 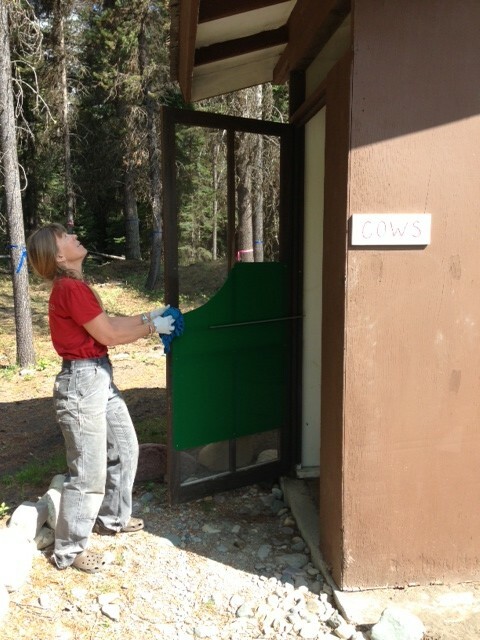 Alice Caldwell, Becky Braunig, Naomi Hoiland swept and mopped the inside of the Hall while Jan Caldwell cleaned the windows. 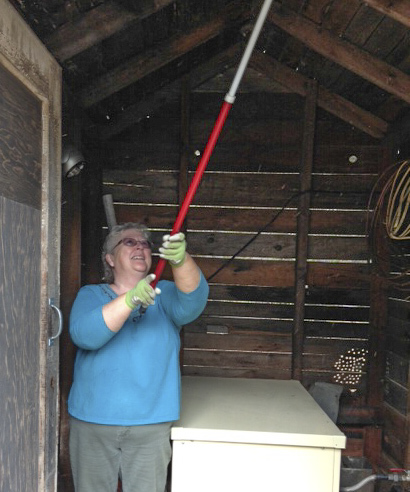 Debo Powers cleaned the generator shed while Bonny Ogle went after old wasp nests in all of the outbuildings. 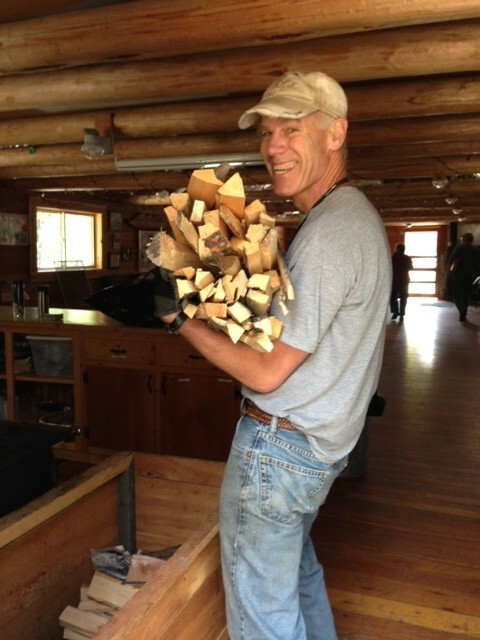 Lynn Ogle helped to move tables. 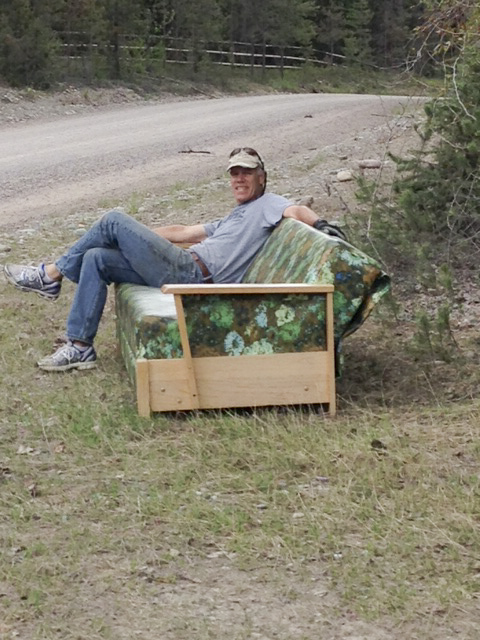 An executive decision was made by President Karen McDonough to get rid of the old green plastic sofa and enthusiastic workers carried it out to the road hoping that someone will “steal” it. 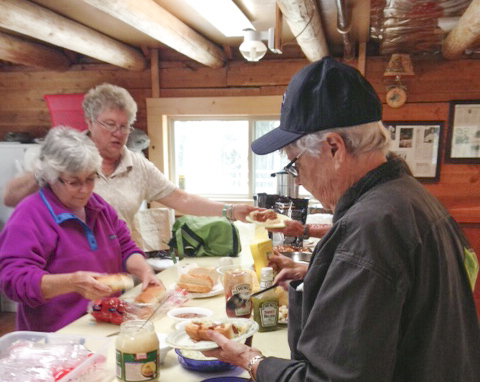 Lunch followed with chili dogs provided by Donna and side dishes from other participants which included Naomi’s famous sticky buns. 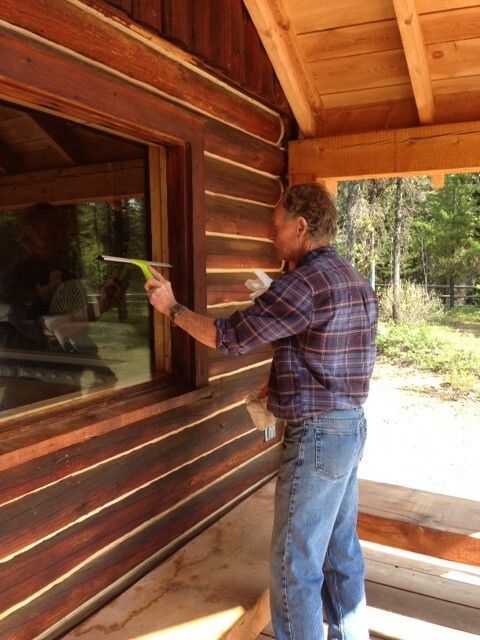 After lunch, all of the furniture was moved into the kitchen to prepare the Hall for floor refinishing which is scheduled for the first few days in June. 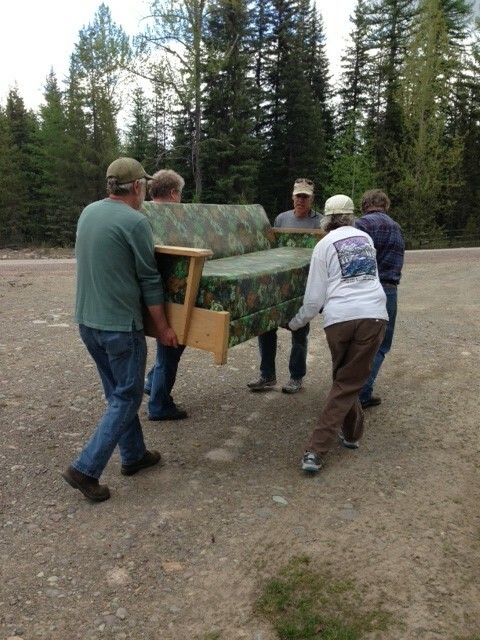 The cleanup day was a demonstration of community spirit and cooperation and was greatly enjoyed by all participants.